A Dublin medical clinic and a consultant have apologised in the High Court to a woman who went in to the private hospital for a keyhole procedure but suffered a perforation to her colon. Lisa Albery's senior counsel Jeremy Maher told the court the 49-year old mother of two went in for the routine surgery but it led to her "near death" and she also suffered permanent and significant injuries. 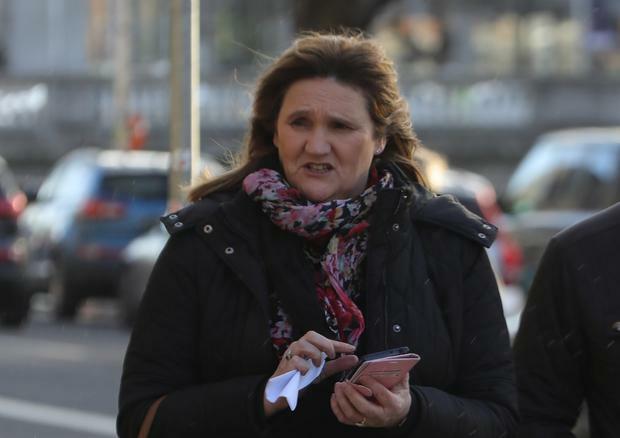 The apology was read to the court as Ms Albery settled her action against the Hermitage Medical Clinic, Lucan, and consultant obstetrician and gynaecologist, Dr Yahya Kamal, over the care she received during and after the operation four years ago. The details of the settlement are confidential. In an apology read to the court, Dr Kamal and the Hermitage sincerely apologised to Ms Albery and said they "deeply regret and acknowledge the serious complications and difficulties she endured following her surgery in March 2014." The settlement came after the case had opened to the court and talks began between the parties. Mr Justice Michael Hanna had been told that liability had been admitted in the case that morning and the case was before the court for assessment of damages only. Ms Albery from Shanbally, Moycarkey, Thurles, Co Tipperary had sued the doctor and the clinic over the circumstances of the care she received four years ago. She was admitted to on March 14, 2014 under the care of Dr Kamal who carried out the surgery. It was claimed that Ms Albery suffered a perforation of her sigmoid colon and as a result she suffered grave pain and distress. There was an alleged failure to investigate in a timely manner Ms Albery's post operative symptoms and an alleged failure to diagnose in a timely manner that she had suffered a perforation of her sigmoid colon. Afterwards it was claimed the woman's wound became infected and and she suffered acute peritonitis, sepsis and a pleural effusion. On March 25, 2014, she was transferred to a Dublin hospital where she had another emergency surgical procedure. She was transferred back to the Hermitage where she remained in intensive care until April 6, 2014. She was discharged on April 27, 2014 but she had further hospital admissions afterwards suffering with pain in her abdomen area and on one occasion for an infection of her wound. Had there been no perforation of the colon, it is claimed, she would have been discharged on the same day of the operation or the following morning without complications.